Hamann revealed their latest tuning package for the new Range Rover Sport, which as usual includes an flashy body kit, huge wheels and lots of power. 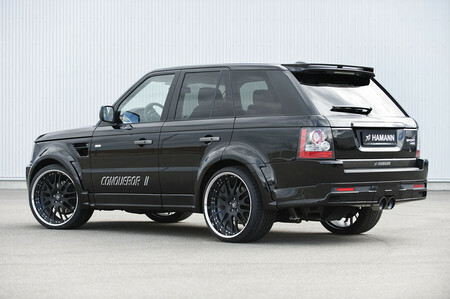 The Hamann Conqueror II Range Rover Sport is powered by a supercharged V8 which has been tweaked to give 560 hp / 412 kW at 6,500 rpm and 685 Nm. They also have a power package for the TDV6 diesel model which bumps the power up to 280 hp with 660 n peak torque. The car also gets the HAMANN sports exhaust system which gives the car a deep sporty noise, and comes with stainless steel mufflers which can be arranged in the middle of rear bumper! Now that’s uncool and ruins the class of the Range. As for the wheels they offer one-part Unique Forged Anodized 23-inch rims in black, covered with 315/25 R23 tires. These wheels have a nice effect on the overall looks, specially as the suspension has been lowered by 40 millimetres at the front and by 30 millimetres at the back. 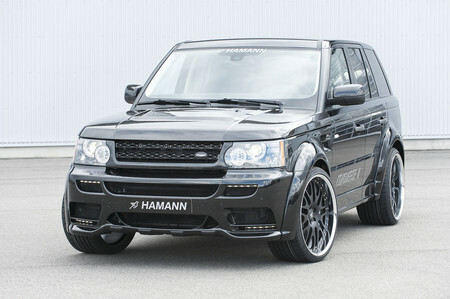 In addition to the serial interior, HAMANN accessories offers black-anodised aluminium combined with carbon applications. Pedals and foot rests render motorsports atmosphere and perfectly match the 6-part HAMANN decoration set made of carbon fibre.